Many businesses rely on their data to optimize operational efficiency. Data security has always been a concern for such organizations. Companies have searched for optimal solutions to secure their data and establish reliable back-ups. This is the void that cloud computing has stepped in to fill out. Major companies like Amazon, Google and Microsoft are coming up with cloud solutions that have extensive security features. Cloud storages have the capacity to store and protect an inexhaustible amount of data. They also provide reliable back-ups and help in restoring data in case of any mishap. Though clouds are a viable option for secure backups, they are not accessible everywhere. Technologies like edge computing have started to emerge as good alternatives. The Internet Protocol (IP) cameras have been an incredible invention in the security surveillance industry in recent times. Contrary to the conventional CCTV cameras, these cameras are connected to the Internet and transfer their recorded media to a specified storage. These cameras nullify tampering of footage, as they store their media far away from the actual cameras. Depending on the type of IP camera, it stores its media to a centralized or decentralized location. The decentralized version offers added security because there isn’t a single point where the footage can be tampered with or deleted. Experts expect the usage of these cameras to gradually become more widespread. Among other applications, emerging technologies are being adopted to monitor access control for vehicles. These systems record and save the registration plates of vehicles. Whenever a vehicle approaches the entry (or exit) location, number plate reading devices capture images of the registration plate. With the help of intelligent image detection software, these numbers are extracted and run through the database. All this happens in a matter of seconds and any authorized vehicle is allowed to pass. These automated systems are efficient, swift and useful to many organizations that require stringent access control systems. With the rise of automation, similar systems can be expected to be widespread in the future. People often relate blockchain to cryptocurrencies but in reality, it has many other applications. In its most basic form, a blockchain acts like a ledger to store data. The data is stored in the form of a ‘block’ and each block is connected to the next block of data in a chain like fashion; thus the name 'blockchain'. A block can only be created or changed through a mechanism that requires the consensus of stakeholders. Any block formed after consensus cannot be deleted. Not being able to change the previous blocks is what makes it so secure, as explained in this Forbes article. This complex mechanism of storage is excellent for storing sensitive data in the most secure manner possible. Blockchain technologies can be applied to resolve various problems. In the future, immutable storage like blockchain can be useful in tracking the expenditure of funds and making government records transparent. This potentially allows you to use the blockchain ledger within security software as a form of guard tour control in order to verify that the data you backed up and stored in the cloud with third-party vendors that have gone completely unchanged for even weeks, months, or years later. No one can deny that blockchain offers reliable and independent data verification. When applied to guard tour system control the blockchain technology can enhance trust in the checkpoints data. It can guarantee that the checkpoint data has not been altered retroactively. Artificial Intelligence is a discipline that focuses on making machines smarter at decision-making and classification. To achieve this, a set of algorithms is implemented that uses the machine’s knowledge base to learn and improve its classification and decision-making capabilities. Artificial intelligence has a key role in facial recognition and can be used in the surveillance and security services industry. There is software being developed to implement facial recognition on a mass scale and identify people in crowds. Augmented reality and Virtual reality are considered as being the same thing but there is a simple distinction between them. Augmented reality means digital entities like holograms are shown in the real world environment. These digital connotations can also be viewed through mobile applications like it is shown in the famous app Pokémon Go. Whereas, Virtual Reality is conceived in a completely digital environment where through various devices, the user is able to experience a completely different environment than he is currently in. Applications of augmented or virtual reality can be perfect for training for jobs. It can also be used assessing the performance of people in complex situations. Security personnel can be trained to deal with security situations that help them minimize security risks. Wearable smart devices are becoming a part of our everyday lives. People tend to carry these devices everywhere they go and use them for everything from time management to exercise. Any compromise on the security of these mobile or wearable devices is a severe concern for the global community. Mobile developers are working on security applications that ensure security and privacy of these devices and the trend keeps on growing. Moreover, the security industry is also adopting security applications on wearable or handheld devices. This will help their personnel to do their job more efficiently and effectively. The phenomenon of the Internet of Things has seen a surge in recent years. Many people are looking forward to having all their devices work in cohesion and adapt to their personal preferences. 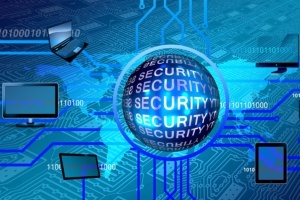 Like all other things, The Internet of Things can also integrate security apparatus. Software developers and engineers are working to build security devices that work in an interconnected environment. These devices will be able to share their data among themselves and then adapt to it to improve their functionality. The inclusion of IoT in devices like security sensors, cameras and drones can be used to develop stringent security systems. The production of such interconnected devices will revolutionize the security industry.